Did you play with the colors yourself, or was someone else doing it? Is the water warm or cold? It reminds me of putting hot fudge into a little bowl of cold water to see if it was soft-ball stage. My Mom made great fudge. 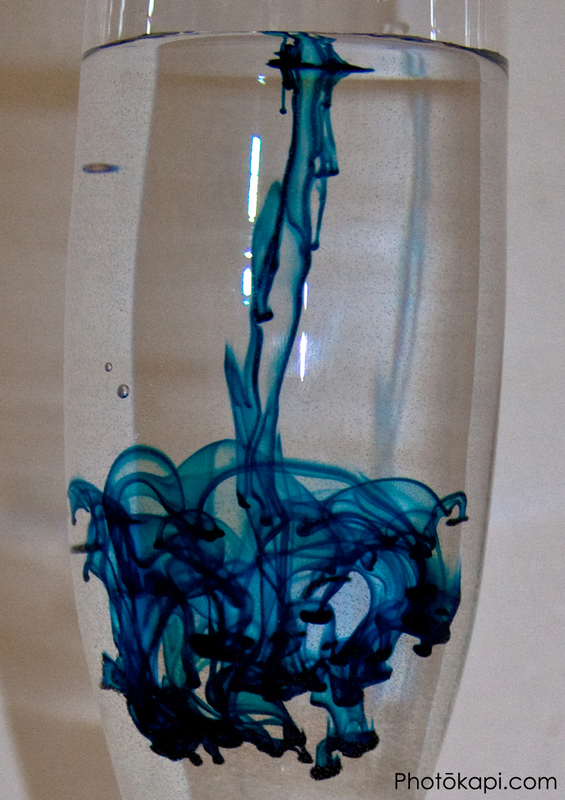 It’s food coloring — just 1 drop and I just let it slowly float down, taking pictures all the while. The water was room temperature. This one seems a little cut off to me, I like the other picture better when you can see the very top of the glass.